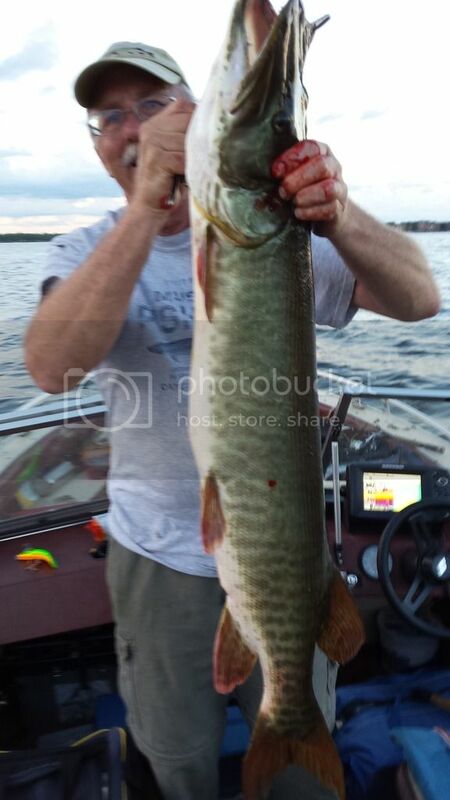 My dad and I chased muskies on Lake Monona this past Saturday. I had 5 or 6 decent size follows during the day. My dad boated this ~45" beast at dusk. It was a blast. Fish swam away strong. The blood in the pic is from my dad, he jabbed his finger into a hook while untangling the fish from the net. It's remarkable what some of the urban lakes in southern Wisconsin can produce. Besides Monona and Mendota in Madison, Pewaukee Lake in Waukesha county also has some huge Muskies. Hard to believe when you see all the human activity on and around those lakes. Good luck, Trap! Know what piece of water you'll be on yet?